When it comes to the holidays and pregnancy, meals can tend to put pregnant women in a down mood, as they pass up their favorite dishes and drinks for healthy, pregnancy-safe fare. This St. Patrick’s Day, while you may be passing up the Guinness flavors and green beer options, rejoice in the fact that when it comes to the traditional corned beef dinner, you’re good to go, that is of course if it is fully cooked. It is advised that during pregnancy cold corned beef should be avoided. This includes that which is sold at deli counters, in restaurants or in commercial lunch meat packages. The reasoning; cold deli meats, such as corned beef, have the risk of being contaminated with the listeria monocytogenes bacteria. This bacterium is capable of avoiding certain mechanisms of the immune system and can cross into the placenta during pregnancy, causing pregnancy risks such as miscarriage. Don’t worry about kissing away the St. Patrick’s Day classic completely though. When cooked to an internal temperature of 160 – 165 degrees Fahrenheit, it’s deemed pregnancy-safe because the heat kills any potential listeria bacteria. 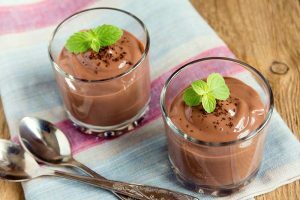 Beyond the corned beef if you’re looking for some healthy options to enjoy and put you in a festive mood, here are five St. Patrick’s Day inspired treats you can safely enjoy to put a wee bit ‘o green into your day. 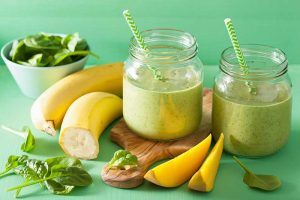 For a nutrient packs smoothie to carry you through the bit of St. Paddy’s day fun, bled together 1 banana, 2 handfuls of baby spinach, 1 mango, 1/2 cup of almond milk and 2-3 ice cubes for a green blend that is healthy and festive. 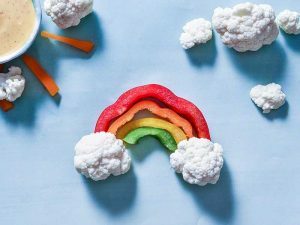 Instead of snacking on chips or salty finger food, grab a bell pepper of every color, a little cauliflower, wash them thoroughly and enjoy a healthy taste of the rainbow. As well as adding the rainbow to your festive mood, this is one rainbow that is packed with powerful nutrients to support you and your growing baby. Red, green and yellow peppers are an excellent source of vitamin C, which plays an important role in immunity protection, while Cauliflower is a great source of folate and essential B vitamins. 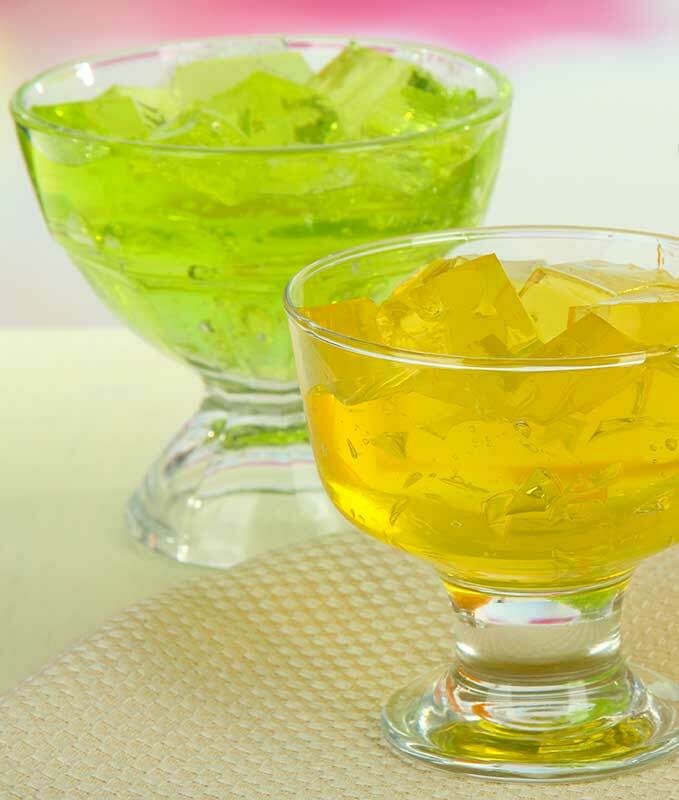 Okay, there’s no special trick to putting this one together, but you may find that when it comes to lemon Jello, this little cup O’ gold may help soothe your sensitive stomach. 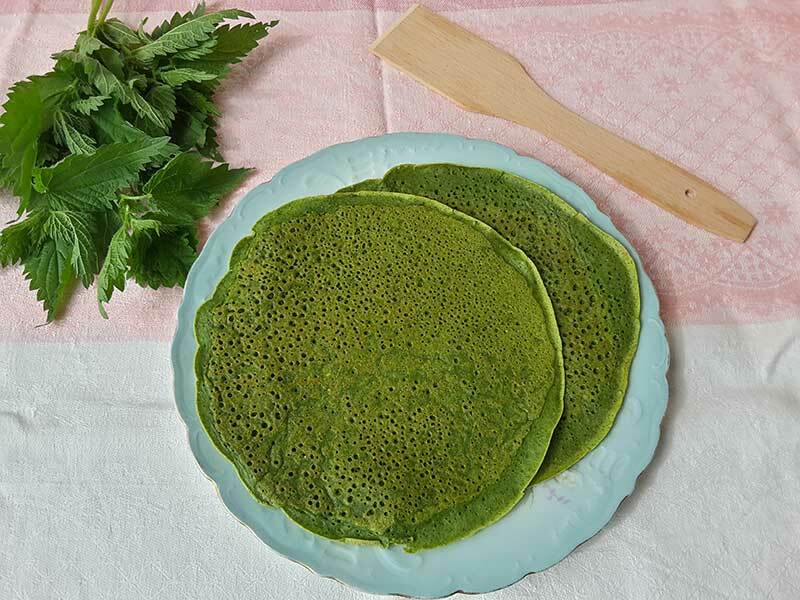 You’ve no doubt heard of green eggs and ham, but how about green pancakes? For a fun St. Patrick’s Day Breakfast, blend 4 cups of spinach, 2 eggs, 1 tablespoon of coconut oil, 1 teaspoon of vanilla extract, 2 tablespoons of honey, 1/2 cup of plain Greek yogurt and 1/4 cup of milk in a blender up the mixture is smooth. (Make sure your ingredients, especially the yogurt is made with pasteurized milk). In a separate bowl mix together 1 1/2 cups of flour, 1 1/2 teaspoons of baking powder and 1/2 teaspoon of salt. Mix your dry ingredient mixture together with the blended mixture until well combined. Next, cook up your batter as you would any other pancake mix and enjoy! Sure this one may sound a bit weird and while this one may not turn out as a green dish, the green ingredient adds a healthy and nutrient packed dessert option that’s tasty and healthy. In a food processor or blender combine 2 avocados, 1 banana, 1/3 cup of unsweetened cocoa powder, 1/3 cup of coconut milk, 1/4 cup pure maple syrup, 1 teaspoon of orange zest, 1 teaspoon of vanilla or chocolate extract, 1/2 teaspoon of ground cinnamon, and a pinch of sea salt. Blend the ingredients until smooth and enjoy! For a little hint of green, garnish with a fresh mint leaf.